Playson is a well-known software developer, satisfying the needs of online casinos and gambling mobile platforms. It headquarters in Malta and has its offices in Moscow and some other cities of the CIS. The company engages talented computer experts, graphic designers, animators, project managers and marketing specialists to create top-quality slots for PC, laptops, tablets and smartphones. As the result, Playson can offer amazing games with unique features and flawless reliability, which are cherished by both users and gambling operators. Playson software is valued for its extended functionality that ensures smooth and exciting game play. To make gaming experience even more engaging, Playson provides each of its slots with a piece of animation that tells about its plot and characters. The detailed graphics are one of the company’s signature features, which makes the characters look quite real and offers many possibilities for large screens. Multilanguage support provided by the developer is very helpful in attracting new users from different countries and thus, works as another weighty argument for online operators. Playson’s choice of gambling software covers multiple slots and table games, including blackjack, roulette and video poker. But the main focus is made on video slots – the company developed over 30 slots, implementing HTML5 technology, 3D-design and HD graphics. Playson’s slots are packed with funny characters and animated icons, while supplemented with great themed sound tracks. The slots are based on multiple themes, some of them being unique and all of them being well-developed for improved gamblers’ experience. Playson software features user-friendly interfaces and adjustable settings for comfortable use, high graphic resolution for enjoying large screens and timely updates for smooth and secure running. 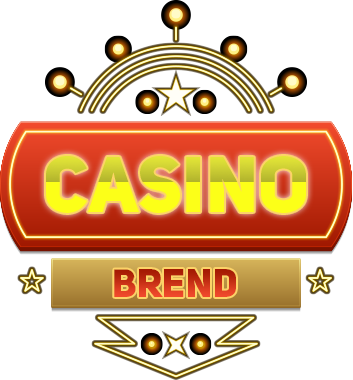 It is compatible with many casino platforms, offers a choice of languages and allows accepting various currencies. The developer also provides mini-games with bonus rounds and mobile apps for various devices based on Android or iOS. The company teems with popular slots, which stand out for the diversity of themes – from Burlesque Queen with its bunch of glamorous girls, machos and luxury restaurants to Gold Rush, offering its exciting treasure hunting. Some of the company’s slots are based on famous themes like vampires in Dracula’s Family or adventures of funny characters in Alice in Wonderslots. In Bumper Crop gamblers can join a farmer in his magic experience, while in Space Corsairs users meet mysterious pirates. The high quality and safety of Playson’s software is confirmed by AGCC, which is a reputable monitoring organization in the gambling market, working in strict compliance with international standards. Playson products are often displayed at numerous trade shows, such as iGamingSuperShow in Amsterdam, where they are always praised by market experts for reliability and flawless operation. That’s why the company gets the best recommendations from specialists as a high-potential partner for major online casinos and leading operators in the market. Its gambling software continues to grow in popularity, while the company keeps searching for new opportunities in its further development.